This installation project came to The Billington Partnership via the well known interior designer, Camilla Johnson. It was our task to bring together a simple but distinctive creation for one of Camilla’s clients. Camilla’s idea was to combine the beauty of a traditional fireplace with the practicality of a working solid fuel fire. 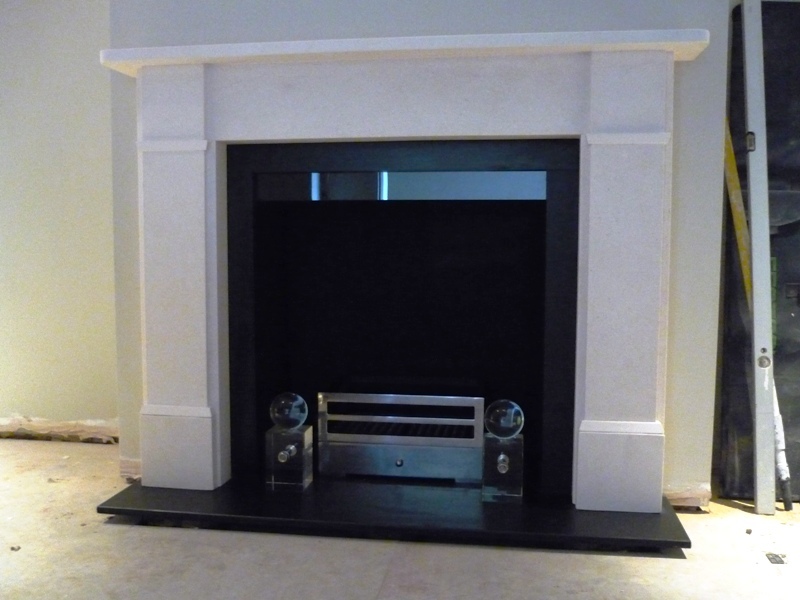 She selected the Classic Victorian limestone mantel with honed slate slips and hearth. However, to make things more interesting, Camilla then requested us to fit a glass header and glass spherical firedogs to go with the polished basket. A very stunning twist on a traditional fireplace. The room in the images is not yet finished. A new chandelier chosen for the room will compliment the fireplace extremely well.